My in-laws were in town and stayed with us for about a week. In between work, house projects, yard work, shopping, quick trip to Napa, and more housework, we managed to find time for some good meals. I had considered taking TM to Cyprus Bistro & Cafe for his birthday dinner this year but we ended up going somewhere else for some reason. I’m glad we were able to try this place out since it’s so close to where we live. We started out with a hummus plate to share (not pictured). It was your run-of-the-mill restaurant hummus. 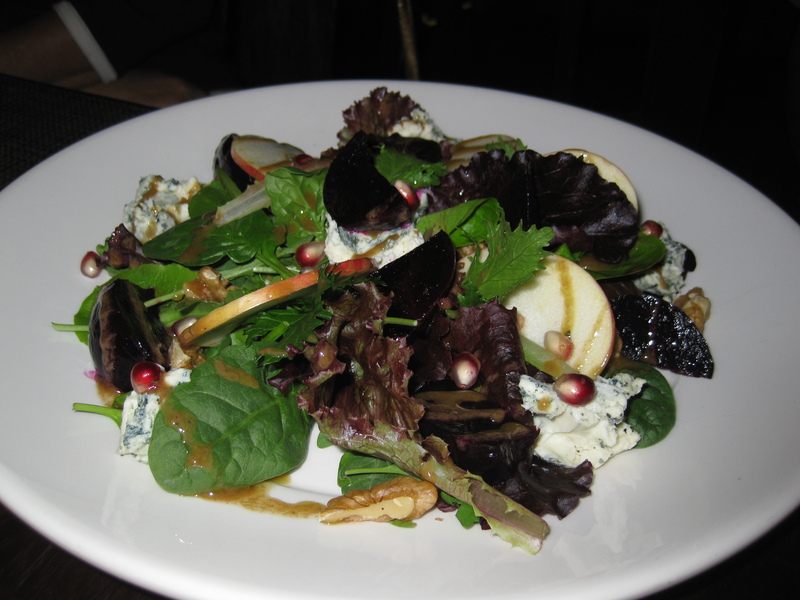 TM’s Mom ordered a salad with greens, beets, gorgonzola, apples, walnuts, and an aged balsamic vinaigrette. I tried a non beet and gorgonzola bite of the salad and enjoyed the dressing and greens combination. 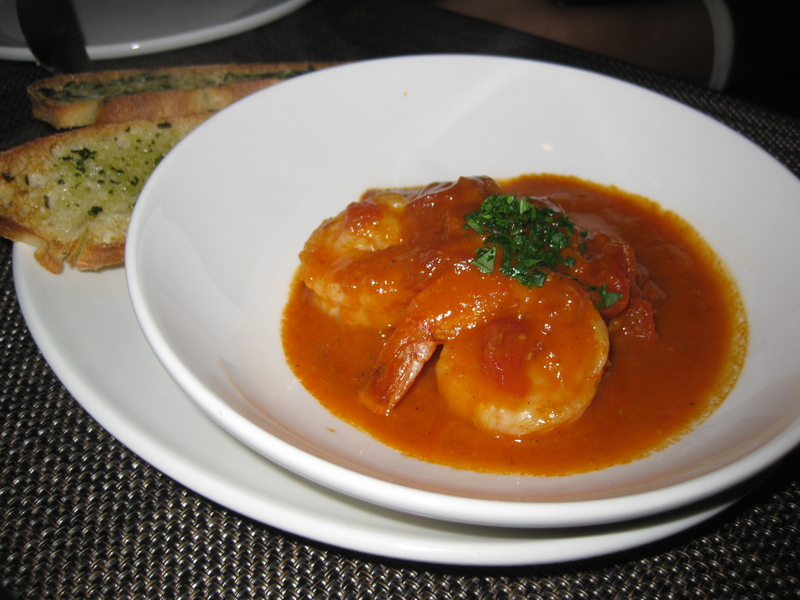 She also ordered the Aleppo chili garlic prawns. She said they had a kick to them but they were very good. I went with the jumbo prawn with brown rice linguini. 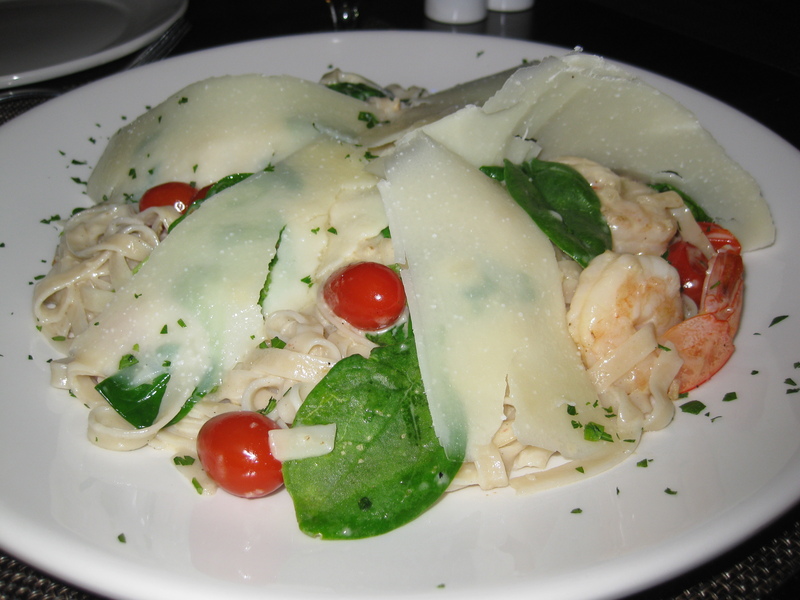 Along with the prawns, it came with roasted tomatoes, baby spinach, fresh herbs, shaved pecorino with a creamy white wine sauce. I was concerned about the cream sauce being too heavy but it was perfect. 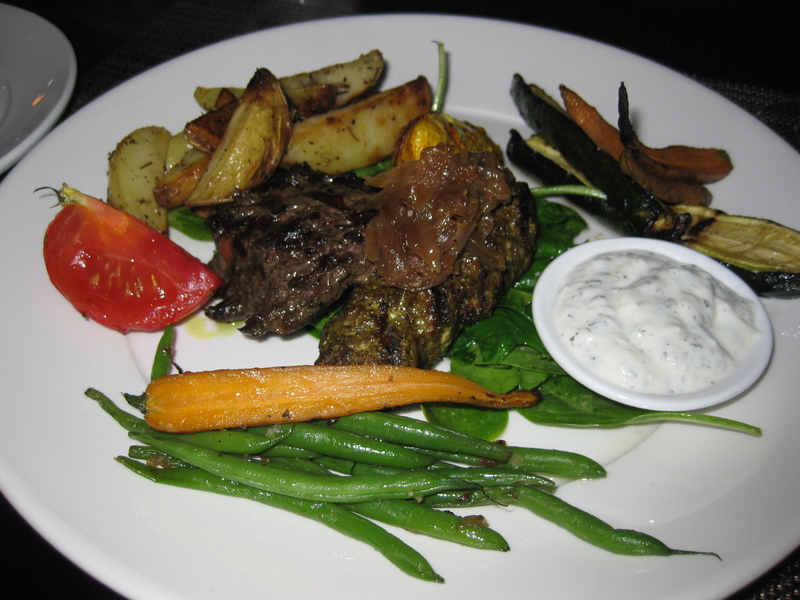 I was impressed with the presentation – the baby spinach was a beautiful green and not wilted at all. They must have blanched the spinach then shocked it in ice water immediately in order for it to look so nice. I’m not sure I would be able to do that. Everything in this dish went so well together, I was excited to eat my leftovers for lunch the next day. I love eating on the outdoor patios of restaurants on Campbell Ave. The best part is Koa being able to join us for dinner! You are currently browsing the For the Love of Food weblog archives for October 2011.